I love this new song from Maddie And Tae. There is a song making big time waves in country music right now and it’s barely been released. That doesn’t happen too often especially for a new act. But it’s happening with newcomers Maddie & Tae. Their new single is already getting reaction from some of country’s biggest stars including Chase Rice on Twitter. Check out the song and see what all the fuss is about. The hook on this one is that country has gotten a little heavy with the bros. Perhaps the biggest brand of country right now is Bro Country. The boys are out there singing about the things they love and something they love a lot are their girls. But sometimes the lyrics in those Bro Country songs get offensive. 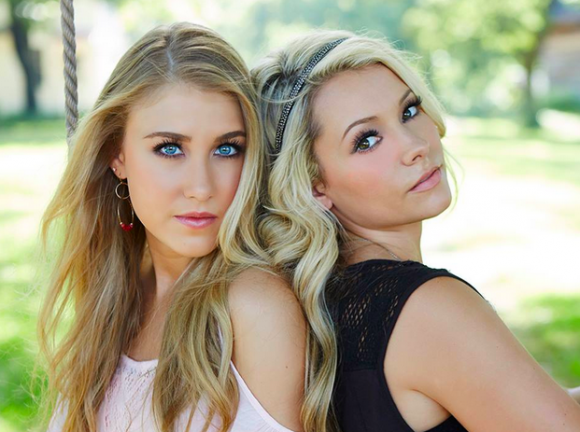 Maddie & Tae aren’t going to stand for it anymore…at least not without having a little fun. This song pokes fun at all the songs that sing about bikinis, bare feet and girls on tailgates. We all know the type of songs that sing about those country girls in that way. It’s all in good fun, but it makes a good point. And it’s sure helping Maddie & Tae make a name for themselves in their new career. I think people are really liking this. Maybe this song is what it will take for things to change a bit in country music. It is due for a swing back to the female side of things.